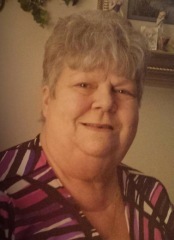 Patricia M. (Jones) Trimble, 75, of Bay View, passed away peacefully Wednesday morning, August 8, 2018 at Stein Hospice Care Center. Patricia was born on October 6, 1942 in Galion, OH to the late Howard and Luella (Harsh) Jones. Patricia was a 1960 graduate from Galion High School. She retired from Sandusky Plastics. In her retirement, Patricia enjoyed working at the Bay View Center. She liked to crochet and drive her golf cart around Bay View. She was a loving mother, an outstanding grandmother and great-grandmother, who loved to spend time with her family and friends. Patricia is survived by her daughter, Penney (Scott) Blanton of Sandusky; sons, Mark (Debby) Trimble of Strongsville, Rick Trimble of Fostoria and Rex Hayden of Clyde; grandchildren, Ashley Beddow, Matt (Lisa) Turner, Tiffany (Joe) Flack, Rhiannon (Mike) Milde, Patrick Persinger and Megan Persinger; ten great-grandchildren; sister, Nancy Gilbert of Galion; brother, Larry Sipes of Galion; several nieces, nephews, and many other loving relatives. In addition to her parents, Patricia is preceded in death by her husband, Robert J. Trimble in 2014; brother-in-law, Denny Gilbert and many aunts and uncles. Friends may call on Sunday, August 12, 2018 from 2:00 pm to 5:00 pm at Groff Funeral Homes & Crematory, 1607 E Perkins Ave, Sandusky. Those wishing to contribute to Patricia's memory may do so to Stein Hospice Services, 1200 Sycamore Line, Sandusky, OH 44870. Condolences may be shared online at www.grofffuneralhomes.com. © Copyright 2010 - 2019 Firelandsobits.com and its Licensors. All Rights Reserved.